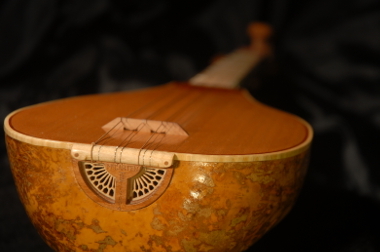 Made in the same spirit as the Baglama, this Curza Saz is smaller than a Baglama with a scale of approximately half the length. This example has figured Maple fingerboard and neck with Maple/Mahogany binding. The top is Sitka Spruce. The bridge and tuning pegs are Hophornbeam. The soundhole rose is Black Cherry and Maple. 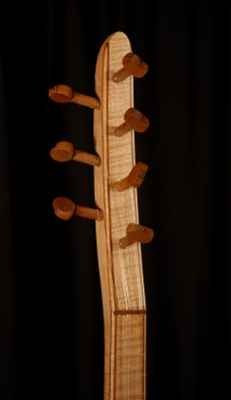 Binding and other accents are a combination of Curly Maple and Mahohany.